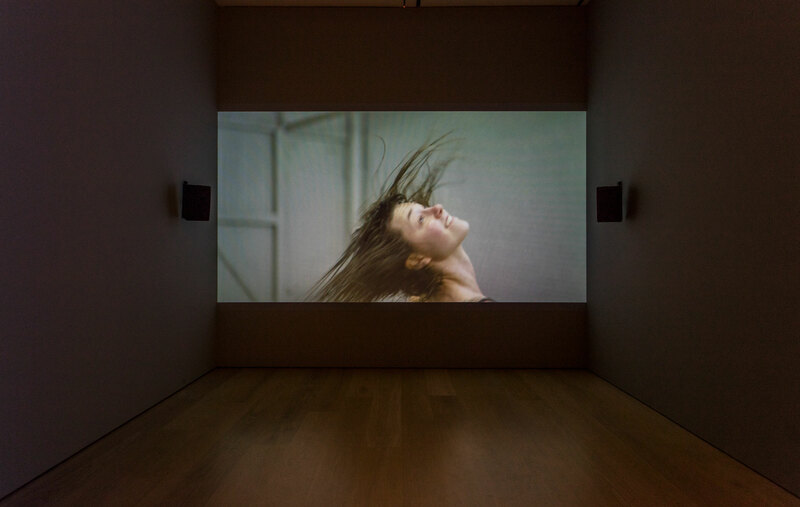 In film installations, performances, and new-media works, Patrick Staff cites the various ways in which the queer body is embodied, interpreted, and regulated. For Made in L.A. 2018, Staff created Bathing, a video exploring themes of contamination, cleanliness, and debility through performance and dance. Bathing is an adaptation of a performance Staff developed that features a solo performer moving in and out of a shallow basin of water. 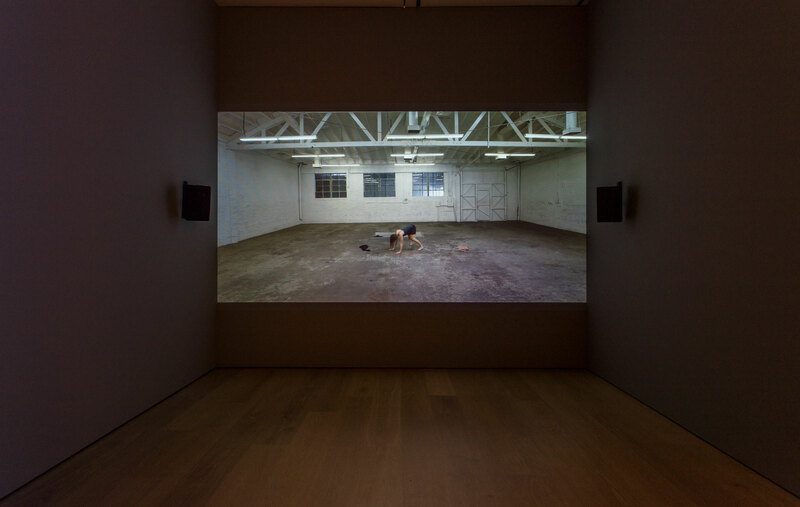 Between the performer’s movements, the video intersperses images of oil, spit, fluid landscapes, and U.S. border patrol, with flashes of a dog lost to a blissful state of chaos. The work combines references to modern dance, including dance made specifically for the camera, with Staff’s research into the classical figure of the bather, chemical effects, drunken revelry, and the spiritello figures that commonly adorn European fountains. The performer’s continuous actions and gestures eventually lead to overexertion of the body. A fluid cross- contamination between substance, performer, and image occurs, bringing to mind the ways in which bodies absorb and release chemicals, hormones, and other agents—a means of survival for some and are potentially lethal for others. The video embraces feelings of anxiety induced by stagnant water and its pollution, while expressing ambivalence about the supposed opposition between inebriation and good health, suggesting that states of intoxication may be compared to a queer mode of being. However, while offering the toxic as a possible source of liberation from conservative notions of well-being and capacity, Bathing also asks us to consider the inherent privilege in celebrating states of disorder and from whom those privileges are commonly withheld. Patrick Staff (b. 1987, Bognor Regis, England) works in the Silver Lake neighborhood of Los Angeles. Staff received their BA in fine art and contemporary critical studies from Goldsmiths University of London in 2009. They completed the LUX Associate Artists Programme and the Cunningham Method Contemporary Dance course at The Place in London, in 2011. Their work has been exhibited at the Museum of Contemporary Art, Los Angeles (2017); New Museum, New York (2017); Los Angeles Contemporary Exhibitions (2016); Contemporary Art Gallery, Vancouver, British Columbia (2016); Serpentine Galleries, London (2015); Chisenhale Gallery, London (2015); Tate Liverpool, England (2014); Monte Vista Projects, Los Angeles (2012); Tate Modern, London (2012), and Whitstable Biennale, Whitstable, England (2012), among others. They have received the Paul Hamlyn Award for Visual Artists (2015) and the David and Margot Kitchen International Artist Fund (2010). Staff has had residencies at FD13 Residency for the Arts (2018), LUX (2014), The Showroom (2014), Fogo Island Arts (2012), and Banff Centre (2010).